A note from Paul: I’m happy to introduce Kamal Patel’s first post on PHD! 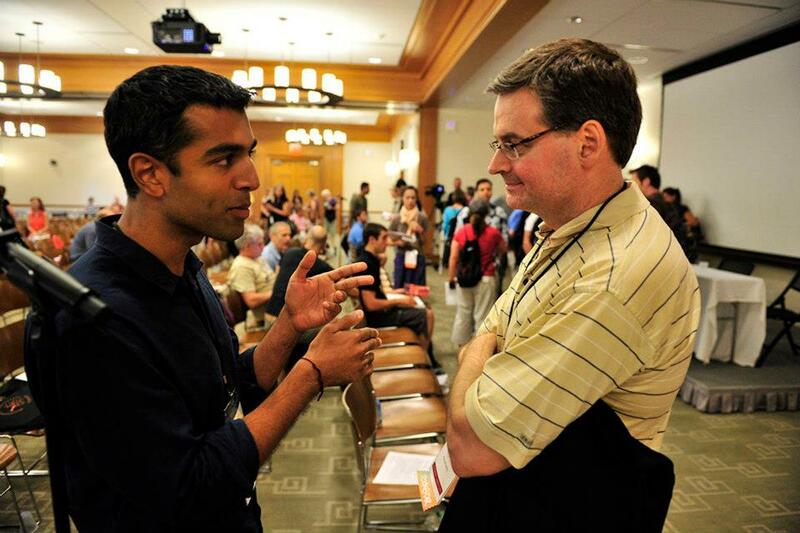 Kamal is the funniest and maybe smartest guy in the ancestral health movement. A Ph.D. candidate in nutrition and a leader in the Ancestral Health Society, you may know him from PaleoHacks or Paindatabase.com. For more, check out Kamal’s bio on our About Us page. Welcome Kamal! Goal: Do some computer work outside a couple times a week. Get maximal benefits from the sun in a minimum amount of time, while fitting all the necessary gear inside a backpack. Resources: Tiny budget, free Amazon Prime shipping, access to a sunny park. Why do computer work outside? Hi, Kamal here (see below Shou-Ching for a short bio). I love sunlight. You probably love sunlight too. Turns out the sun is important for things outside of just vitamin D production. 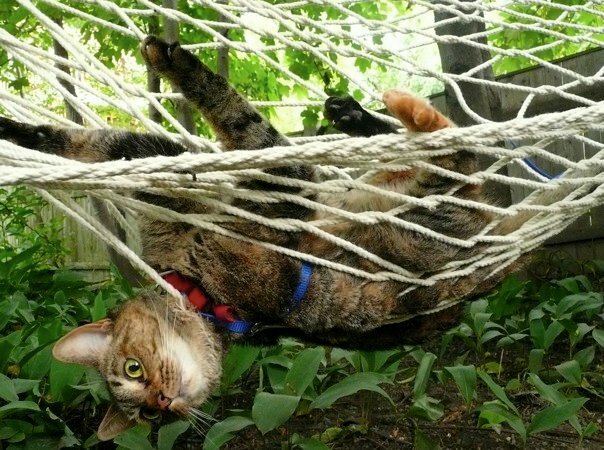 Ever wonder why indoor cats gravitate towards sunlight, even though they get their vitamin D from food? Probably not, since it just makes intuitive sense that animals want to be outdoors. The desire to be free of inside confines applies not just to indoor cats but also to indoor humans. Yet indoor humans sometimes need to see peer-reviewed articles before changing their habits. Don’t fret, we’ll start with a couple of those before delving into five specific steps for creating an outdoor workstation. Sun exposure increases production of endorphins and nitric oxide, which can translate into benefits for both pyschological well being as well as disease prevention. Light boxes benefit not only seasonal affective disorder but also non-seasonally linked depression. Brief but regular exposure to ultraviolet light from tanning beds can help the mysterious and painful chronic condition called fibromyalgia, and sunlight may benefit pain after surgery. The draw of UV radiation is so powerful that frequent tanners can literally get addicted to catching rays. Unfortunately, the “pro-sunshine” lobby isn’t pouring billions into research on sun exposure, so the specific mechanisms of sunlight benefit will likely remain more mysterious than the mechanisms of blockbuster medications like Viagra and Prilosec. Look at your skin. Does it look more like Paul’s, or does it look more like Kamal’s? If it looks like Kamal’s, you might be getting vitamin D not-at-alls (PS: that’s a rhyming mnemonic). Let me explain. I first got my vitamin D tested in 2008, and it came in at a whopping 19 ng/ml…even with taking a multivitamin most days and getting sunlight at lunchtime! As you probably know, pigmented and/or tanned skin serves as sunscreen, making it tough for darker people to synthesize vitamin D without very long sun exposure times. Indians may also produce less active vitamin D (calcitriol) from a given amount of sun exposure due to genetic predisposition. But my problems apply to you lighter-skinned folk as well — my outdoor lunch excursions were done while wearing business casual clothing with short sleeves. This means covered torso and legs, leaving only about 25% of my skin exposed for vitamin D production. If you factor in things that can lower vitamin D production further, such as cloud cover, not laying down horizontally, higher BMI, and increased age, then it might be worth it to create a “sunlight maximization” strategy. How serious are you about getting that extra sunlight? If you’re moderately serious, consider small changes like taking off your shoes and rolling up your pantlegs a bit while sitting in the park. If you’re extremely serious and okay with looking strange, consider occasional use of…mesh basketball jerseys! Yup, those cheapo mesh tops are made of thin material covered with tiny holes. One day I’ll buy a UV meter and check the actual numbers, but my suspicion is that wearing such a jersey would greatly increase skin exposure to the sun, perhaps doubling it or more. I bought my jersey for about $10 on Amazon, and sometimes change into it before leaving for the park. If you don’t already have blue-light blocking glasses to ratchet down light exposure before bedtime, you can buy a pair of those plus a jersey on Amazon in order to level up to free shipping. 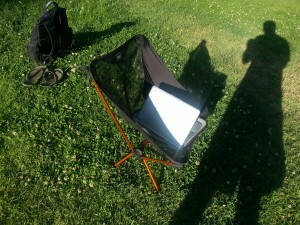 Now that you’ve freed up enough skin to get some substantial sunlight, the next step is to assemble your outdoor office. This part is fun. Eventually you’ll want a small chair, especially if you’re planning on spending many hours working outside. To get a chair that you can stuff in your backpack, just head to REI or any place that sells camping gear. I chose a collapsible model at REI called “Flex Lite” that weighs only 1.75 pounds and folds down to 14×4 inches. Tiny chair and tiny laptop fit into backpack with plenty of room to spare. Laptops are expensive, so you can totally just use whichever model you have. BUT…if you have a few bucks to spare or your current model is in need of replacement, I’d recommend getting an ultra-light laptop, at under 3 pounds. That way, you can fit the tiny laptop and tiny chair along with a hearty lunch in your backpack. Just remember that a laptop with a matte screen works much better than a glossy screen for outdoor use. The name of the game when working at a computer is to avoid repetitive stress injuries. Simply by being outside, it will give you more incentive to get up and walk around once in a while. But there are other ways to introduce some structured change-of-posture. You can set a timer for every 20 or 30 minutes or get an app on your phone that reminds you to get up. You could also take a break from sitting in the chair to sit on the grass. Note that sitting with feet in contact with the earth (aka “earthing” or “grounding”) is speculated to have some health benefits, which is another bonus for getting in some outdoor office time. For those with wrist problems, consider switching up your input method every now and then. Switching from right to left hand on occasion is the easiest way to do this. Other ways are switching from trackpad to mouse or trackball and using keyboard shortcuts more. Later this summer, a motion-detecting input device called “Leap Motion” is coming out that will allow you move the cursor with your MIND! Just kidding, not with your mind. But it does allow you to move the cursor with your hands in the air, Minority Report style, reducing much pressure from overstressed wrist tendons and ligaments. Fancy gadgets aside, if you’re going to spend more time outside, it’s a perfect opportunity to think more about varying your working position and revisiting ergonomics. This is going to sound cheesy, but so be it. Working outside can make you feel more alive. The transition from typical cubicle to standing desk is exciting. Work typically takes up the majority of one’s adult life, and standing cracks the mold of being a robotic office cubicle worker. Incorporating some outside work time removes so much of the drudgery aspect from work that it can confuse the most pessimistic of brains. Normalizing circadian rhythm is an essential part of the health equation, and a complementary factor is being outdoors in the sun. “Sick building syndrome” doesn’t get a ton of research attention, but it’s a very real thing. One reason outdoorsy vacations provide a sense of well-being could be a lack of droning artificial light, stale air with concentrated indoor pollutants, and disgruntled coworkers. Even an office full of windows isn’t perfect. Office windows filter out UVB rays (meaning no vitamin D production or improved mood through endorphin release) but allow some UVA through (meaning staying indoors behind a window doesn’t keep you risk-free from skin damage and cataracts). Step 5: Get outside already! Directions: Stuff into backpack, leave for park while whistling CCR’s “Lookin’ Out My Back Door”. 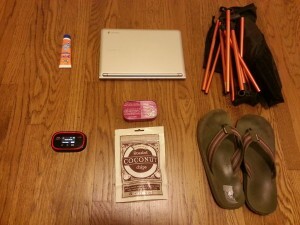 Above are my typical outdoor office supplies, all of which easily fit into a normal-sized backpack with room to spare. 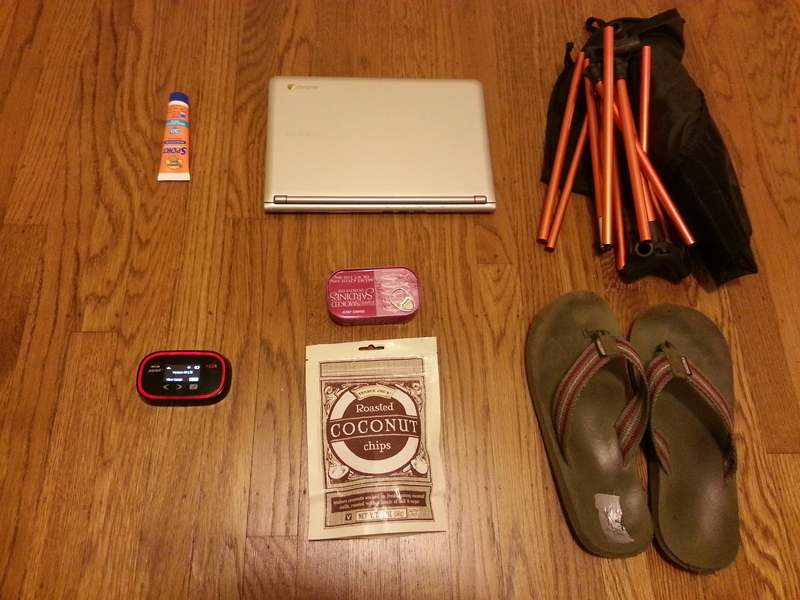 From the top left, there’s a travel-sized sunblock, laptop, collapsible chair, flipflops, coconut chips plus sardines in olive oil, and mobile wifi device. If you don’t want to get a mobile wifi device, you can usually get free or cheap mobile wifi from your smartphone. In terms of practical recommendations, I advise people with school or office work to gradually spend more time working outside. If you find yourself able to be productive working outside, only then consider buying a chair or other outdoor accouterments. Wearing a mesh jersey might seem drastic, but it has a couple benefits. For darker-skinned individuals, it can substantially decrease the prolonged time needed to produce vitamin D. Very light-skinned individuals who are at higher risk of skin cancer could wear sunblock on parts of the body that are more prone to skin damage (like the face) and couple that with producing vitamin D from a jersey-clad torso. To reiterate because of its importance, a critical concept for office work is VARIATION. The capital letters are to show that I’m not joking around. Combining typical indoor seated work with at least occasional standing work and occasional outdoor seated work is a solid ergonomic base. 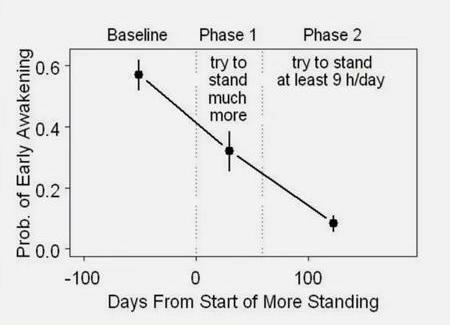 Increasing the standing to a few hours a week may result in weight loss of several pounds a year. When indoors, a “microbreak” of under a minute could be spent grabbing some water, taking a lap around the office, or climbing a set of stairs. These microbreaks have been shown to reduce muscular discomfort without compromising productivity. When outdoors, microbreaks are pretty much just awesome. Breathe in some fresh air, stare at the clouds, say hello to the doggies at the park. All the studies in the world can’t relay just how nice it is to work outside a couple times a week. We believe that almost all diseases are caused by food toxins, malnutrition, and infections. 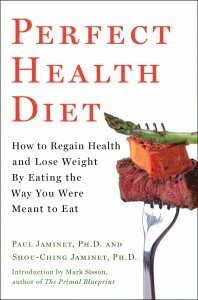 Toxic and malnourishing diets depress immunity and make infections worse. Once you have this point of view in mind, supporting evidence is everywhere. The ScienceDaily article summarizes new research showing a link between depression and telomere length in white blood cells. Telomeres are the end-caps on chromosomes. If telomeres become too short, DNA becomes unstable, genetic integrity is lost during cell division, and cells become senescent (crippled beyond hope of recovery) or commit apoptosis (suicide). An enzyme called telomerase lengthen telomeres. Normally, most cell types maintain a balance between telomerase levels and replication so that telomeres are maintained at healthy lengths throughout normal cell life. This suggests that some exogenous factor, not part of normal human biology, is shortening telomeres in the depressed; and that the body’s capacity to resist this factor determines its ability to recover from depression. If the body can overcome the exogenous factor, eliminating its ability to shorten telomeres, then the depression goes away. What could this exogenous factor be? Well, it happens that a number of viruses shorten telomeres in white blood cells. HIV also shortens telomeres: “Analysis of telomere length in HIV-1 exposed U373 showed a statistically significant telomere shortening” . Interestingly, telomere shortening by HIV was reversed by providing N-acetylcysteine, suggesting that NAC should be beneficial for AIDS and possibly other chronic viral infections. If viruses cause major depression, then they probably also cause the diseases associated with depression. After all, they have to infect the rest of the body before they can infiltrate the brain. So we should look at viruses and other systemic diseases, and see if the connection with telomere shortening holds in those diseases. Worldwide approximately 18% of cancers are related to infectious diseases…. Viruses are usual infectious agents that cause cancer but bacteria and parasites may also have an effect. A virus that can cause cancer is called an oncovirus. These include human papillomavirus (cervical carcinoma), Epstein-Barr virus (B-cell lymphoproliferative disease and nasopharyngeal carcinoma), Kaposi’s sarcoma herpesvirus (Kaposi’s Sarcoma and primary effusion lymphomas), hepatitis B and hepatitis C viruses (hepatocellular carcinoma), and Human T-cell leukemia virus-1 (T-cell leukemias). Bacterial infection may also increase the risk of cancer, as seen in Helicobacter pylori-induced gastric carcinoma. Parasitic infections strongly associated with cancer include Schistosoma haematobium (squamous cell carcinoma of the bladder) and the liver flukes, Opisthorchis viverrini and Clonorchis sinensis (cholangiocarcinoma). According to some authors, viruses are one of the most important risks factor for cancer development in humans, second only to tobacco use. This summary overlooks some known associations (such as that between XMRV and prostate cancer, see our post Retroviruses and Chronic Fatigue Syndrome, Aug 24, 2010) and evidence that tobacco use raises cancer risk primarily in people with a high viral infectious burden (see ref. below). Although only 18% of cancers may yet have been confidently linked to infectious pathogens, it is not impossible that 100% of cancers are caused by as-yet-mostly-unidentified infectious pathogens, probably mainly viruses. If viruses cause cancers, and if viruses shorten white blood cell telomeres, then we would expect cancer patients to have shortened telomeres. Same story with head and neck cancer , renal cancer , breast cancer , and probably also thyroid cancer . A weakness of those cancer studies is that they only looked at blood cell telomeres and the presence of cancer; they didn’t also measure viral burden, for instance by looking for antibody seropositivity. Telomere length (TL) was approximately 0.5 kilobases (kb) shorter in leukocytes from patients with CHD than in their age-matched control subjects…. So cytomegalovirus may be involved in coronary heart disease. The reason all these studies have looked at white blood cells is because it is easy to get blood samples. But sometimes it is possible to get samples from diseased and normal tissues and do a direct comparison. Arterial segments which did not develop atherosclerosis such as the saphenous vein and internal mammary artery, had longer telomere length than aortic segments. On the other hand, telomere length was shorter in aortic tissues which presented atherosclerotic lesions compared to corresponding tissues without atherosclerotic lesions. These results also suggest tissue regulation of telomere size by local factors likely related to oxidative stress responses. So the normal vessels have long telomeres, indicating an absence of viral infections, but the atherosclerotic plaques have short telomeres, suggesting of high infectious burden. Telomere shortening is probably a marker of infectious burden, especially of viral infections. Telomere shortening in blood cells is associated with major depression, cancer, heart disease, and probably nearly every other disease. Diseases probably result from a combination of factors, but a heavy burden of chronic infectious pathogens is probably almost always one of them. These pathogens are usually little more than parasites, sapping nutrients from human cells and disabling their immune defenses. But combined with toxic and malnourishing diets, they cripple the body and shorten lifespan. The association of shortened telomeres with shortened lifespan may be due to the life-shortening effects of infections. This is why the immunity-enhancing dietary steps discussed in Step Four of our book are so central to a long and healthy life. We cannot avoid exposure to these pathogens. But we can keep their numbers down, so that they do minimal harm to us throughout life. University of California – San Francisco (2011, April 6). Link between chronic depression and accelerated immune cell aging. ScienceDaily. 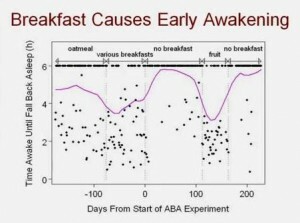 Retrieved April 7, 2011, from http://www.sciencedaily.com/releases/2011/04/110405151223.htm. Wolkowitz OM et al. Leukocyte telomere length in major depression: correlations with chronicity, inflammation and oxidative stress – preliminary findings. PLoS One. 2011 Mar 23;6(3):e17837. http://pmid.us/21448457. Wolkowitz OM et al. Resting leukocyte telomerase activity is elevated in major depression and predicts treatment response. Mol Psychiatry. 2011 Jan 18. [Epub ahead of print] http://pmid.us/21242992. van de Berg PJ et al. Cytomegalovirus infection reduces telomere length of the circulating T cell pool. J Immunol. 2010 Apr 1;184(7):3417-23. http://pmid.us/20176738. Lacoste S et al. Chromosomal rearrangements after ex vivo Epstein-Barr virus (EBV) infection of human B cells. Oncogene. 2010 Jan 28;29(4):503-15. http://pmid.us/19881539. Pollicita M et al. Apoptosis and telomeres shortening related to HIV-1 induced oxidative stress in an astrocytoma cell line. BMC Neurosci. 2009 May 22;10:51. http://pmid.us/19463156. Reddel RR. Senescence: an antiviral defense that is tumor suppressive? Carcinogenesis. 2010 Jan;31(1):19-26. http://pmid.us/19887513. Liu X et al. Constitutive telomere length and gastric cancer risk: case-control analysis in Chinese Han population. Cancer Sci. 2009 Jul;100(7):1300-5. http://pmid.us/19432888. Jang JS et al. Telomere length and the risk of lung cancer. Cancer Sci. 2008 Jul;99(7):1385-9. http://pmid.us/18452563. Broberg K et al. Constitutional short telomeres are strong genetic susceptibility markers for bladder cancer. Carcinogenesis. 2005 Jul;26(7):1263-71. http://pmid.us/15746160. Wu X et al. Telomere dysfunction: a potential cancer predisposition factor. J Natl Cancer Inst. 2003 Aug 20;95(16):1211-8. http://pmid.us/12928346. Shao L et al. Telomere dysfunction in peripheral lymphocytes as a potential predisposition factor for renal cancer. J Urol. 2007 Oct;178(4 Pt 1):1492-6. http://pmid.us/17707063. Shen J et al. Short telomere length and breast cancer risk: a study in sister sets. Cancer Res. 2007 Jun 1;67(11):5538-44. http://pmid.us/17545637. Capezzone M et al. Telomeres and thyroid cancer. Curr Genomics. 2009 Dec;10(8):526-33. http://pmid.us/20514214. Spyridopoulos I et al. Accelerated telomere shortening in leukocyte subpopulations of patients with coronary heart disease: role of cytomegalovirus seropositivity. Circulation. 2009 Oct 6;120(14):1364-72. http://pmid.us/19770396. Nzietchueng R et al. Telomere length in vascular tissues from patients with atherosclerotic disease. J Nutr Health Aging. 2011;15(2):153-6. http://pmid.us/21365170. As far as I know, it may be the only paper showing a definitive development of psychopathology with an adjustment of diet. So that’s a big deal! Since I suspect that most psychopathologies are induced by diet in the context of infection, I think this shows that psychiatric researchers have barely begun to understand their diseases. As soon as I saw Chris’s post I knew I had to blog about it, because I had similar symptoms to these mice. Briefly, I had a chronic bacterial infection of the brain and nerves, probably from Chlamydophila pneumoniae, plus a few other problems which masked the bacterial infection until I fixed my diet. Neuronal hypoglycemia. C. pneumoniae steals glucose products like pyruvate for energy. This can create hypoglycemia in neurons even if blood glucose levels are normal. Serotonin deficiency. C. pneumoniae steals key amino acids like tryptophan, tyrosine, and phenylalanine for protein and niacin synthesis. Of these tryptophan is most important. To block C. pneumoniae activity, the innate immune response triggered by interferon gamma sequesters tryptophan. This denudes neurons of the neurotransmitter serotonin, which is made from tryptophan. Inflammation. C. pneumoniae is able to trigger inflammation which re-directs the immune response away from itself toward extracellular pathogens. Hypoglycemia : Feeling nervous or jittery; mood changes such as irritability, anxiety, restlessness; confusion, difficulty in thinking, and inability to concentrate; poor coordination. Serotonin deficiency: Anxiety, depression, impaired memory or cognition, low self-esteem, loss of pleasure, poor impulse control, insomnia. These lists don’t fully capture the experience however. I started having these symptoms in 1992 during a year-long course of antibiotics, and they would get worse for about the next 15 years. I experienced a dramatic loss of happiness and positive emotions. I had always been happy; now suddenly I wasn’t. Along with this came a weird mental state which is hard to describe, because it has no normal analog. Irritability or anger come closest, so I’ll use those words. But understand that it was a generalized state, not irritation or anger directed at anyone in particular; being naturally phlegmatic, I doubt in 20 years I was uncivil to anyone on more than a few occasions. It was just a persistent irritated/angry emotional state that I was well aware was unnatural and could consciously control. It seemed like this negative emotional state would build up, and could be discharged a bit by a few expressive habits. I would wring my hands; I still have some slightly twisted finger bones and calluses from over a decade of hand-wringing. And, when alone, I would sometimes scratch my head. 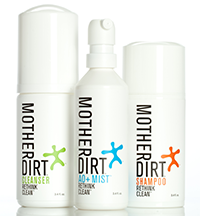 This sometimes led to hair loss and bare patches. Serotonin depletion is a common feature of mood disorders. I wouldn’t be surprised if most of these disorders are due to brain infections, and the serotonin deficiency is due either to theft of tryptophan by bacteria or to the immune response to intracellular infections, which increases interferon gamma and decreases serotonin. The first impulse of modern medicine is to fight the body’s response to disease. If the body has downregulated serotonin, doctors look for drugs that upregulate it. That is why people with depression and mood disorders are commonly given SSRI’s, drugs that raise serotonin levels. If these diseases are due to infections, then we would expect the SSRI’s to improve mood immediately, but also to defeat the body’s immune response, supply the pathogens with tryptophan, and promote their replication. As a result, the disease should progress faster. In time, the patient will become worse than would have been the case without the drugs. And, more often than not, this is what actually happens. Drugs are often “unsafe at any dose”. Antidepressant treatment increases mortality in men by 30%. Interferon gamma, of course, sequesters tryptophan and diminishes neuronal serotonin levels. All this sounds familiar: C57BL/6 have lower serotonin; they become irritable and will bite and tear fur out. If these mice went to a human psychiatrist (and had health insurance), they’d be prescribed SSRIs to raise their serotonin levels. A group at Purdue led by professor of animal sciences Joseph Garner decided to see if they could cure barbering through an alternative dietary therapy that would raise serotonin levels just like SSRIs. The treatment diet was essentially identical to the control diet, except for these differences: Tryptophan levels were four times higher, methionine levels were the same, and other amino acids were halved. Overall protein levels were cut from 24% to 13.3% of calories. Since tryptophan competes with other amino acids for entry to the brain, this shift in amino acid composition led to much larger tryptophan entry to the brain. [1, Table 2] The lost protein calories were made up by increasing carb intake from 57.3% to 68.0%, which I consider a relatively marginal change. In both diets fructose was minimal, 2.5% of calories, and glucose, mostly from starch or dextrose, provided the bulk of the carbs. The tryptophan was converted to serotonin in the brain, but not for long. Serotonin levels were 55.5 ng/ml in brains of mice on the control diet, 57.6 ng/ml in brains of mice on the high-tryptophan diet [1, Table 3]. However, levels of serotonin metabolites – the leftovers after serotonin destruction – were much higher in the treatment mice. [The] diet … was expected to reduce abnormal hair-pulling. Instead, mice that were already ill worsened their hair-pulling behaviors or started a new self-injurious scratching behavior, and the seemingly healthy mice developed the same abnormal behaviors…. “We put them on this diet, and it made them much, much worse,” Garner said. This does indeed sound like a “homologous outcome” to the experience of human patients treated with SSRIs! 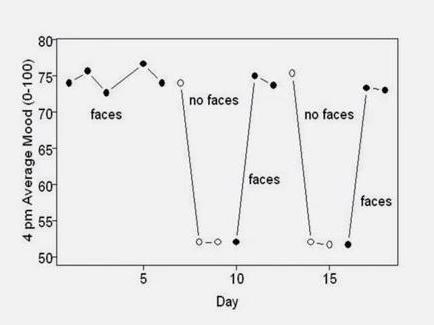 Very likely if the mice had been interviewed at Day 1 after initiation of the high-tryptophan, they would have reported mood improvements, just as human patients do on SSRIs. As with humans on SSRIs, the negative effects took some time to appear. The increase in scratching behavior was not apparent at 6 weeks after initiation of the high-tryptophan diet, but was apparent at 12 weeks (3 months) [1, Figure 4]. 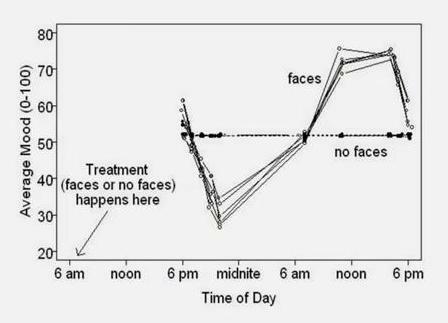 Ulcerative dermatitis tended to appear after about 10 weeks on the high-tryptophan diet [1, Figure 3]. I’ll follow up in my next post, on Monday, with speculation about what is happening in these mice. In the meantime, I think it is worth remarking how an intervention thought to be beneficial – restoring serotonin levels to “normal” – has health-impairing consequences over time in both mice and people. In my view, the philosophy behind drug-based medicine is misplaced. Too often drugs are designed to fight or defeat the body’s natural mechanisms. 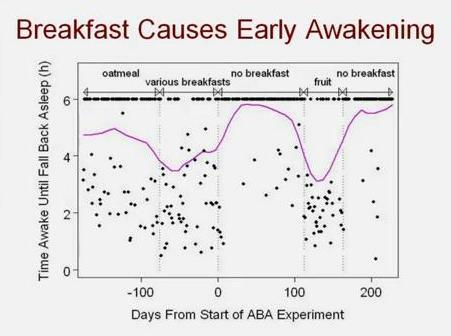 As my parable argued, I believe it is much more effective to cooperate with the body through diet and nutrition. Dufour BD et al. Nutritional up-regulation of serotonin paradoxically induces compulsive behavior. Nutr Neurosci. 2010 Dec;13(6):256-64. http://pmid.us/21040623. Okusaga O et al. Association of seropositivity for influenza and coronaviruses with history of mood disorders and suicide attempts. J Affect Disord. 2010 Oct 26. [Epub ahead of print]. http://pmid.us/21030090. Hat tip Dr. Deans, http://evolutionarypsychiatry.blogspot.com/2010/11/depression-flu-and-to-do.html.